The solution provides effective means to protect Magento from spam and bots, which have been attacking every store on the internet. The fight against bots has a long story. 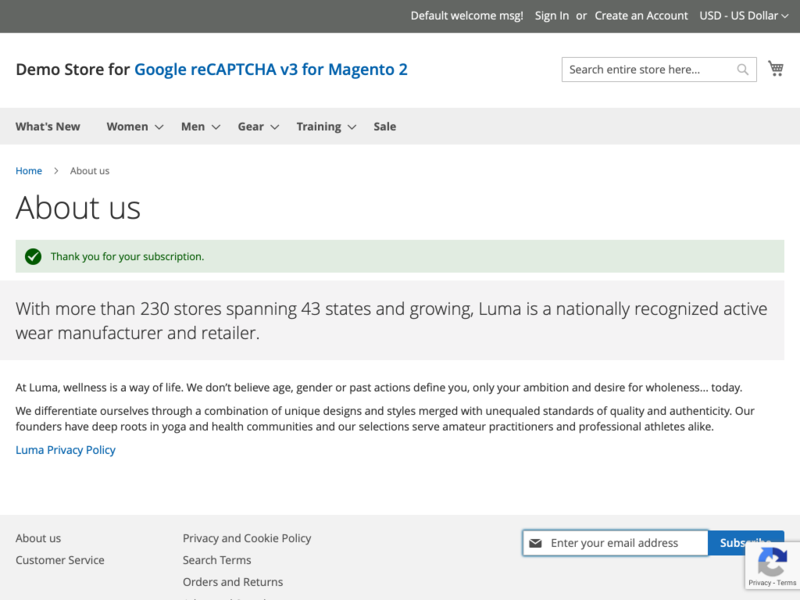 To understand whether it is a human on the other side of the monitor, simple and sometimes irritating number-letter captcha was invented, which later evolved into Google reCAPTCHA v2 to force a suspicious user to select proper images. But the problem is spam tools are not the ones to remain still. 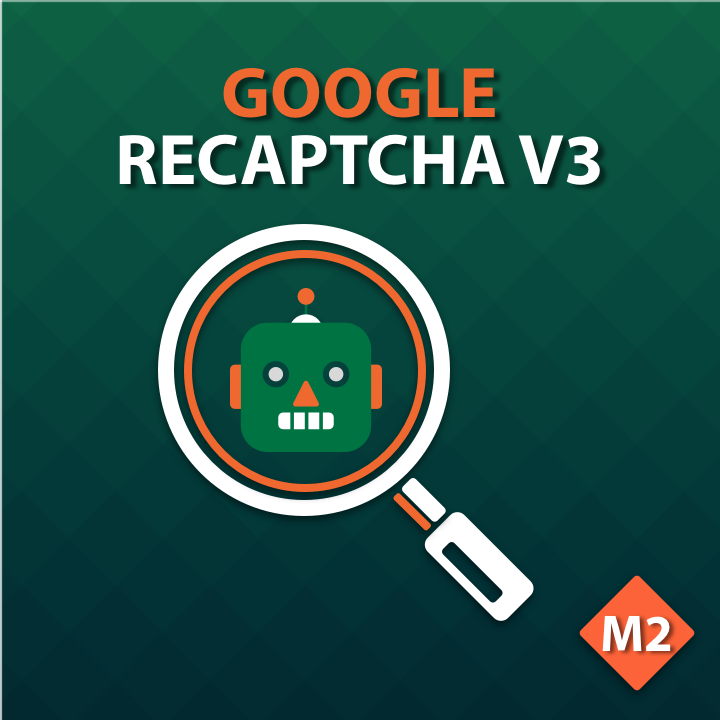 Today, Google is introducing the reCAPTCHA v3 providing a new protection approach meeting the challenges of today. The new algorithm's principle of operation is kept secret, but it is pretty much evident it is based on a self-learning AI and user behavior statistics analysis. To connect to the Google service, enter a pair of the Site and Secret keys created for your domain(s) in the Google Admin Console. Note this is a place to review the captcha statistics later. The most interesting and decisive configuration setting in the extension is Threshold Score. 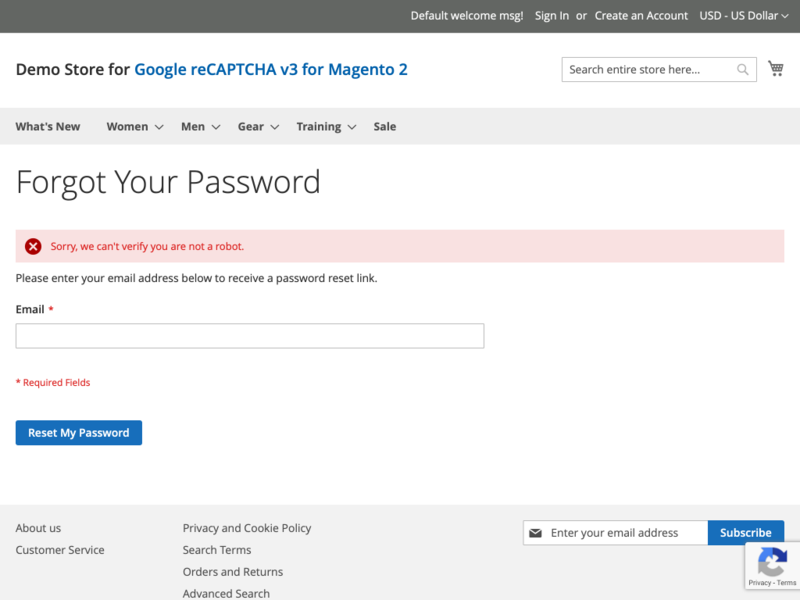 reCAPTCHA v3 works differently compared to previous versions. It analyses the website visitor's behavior and returns a score from 0.1 to 1.0. The higher the value of the score, the higher the probability the website forms are submitted by the human rather than a bot. 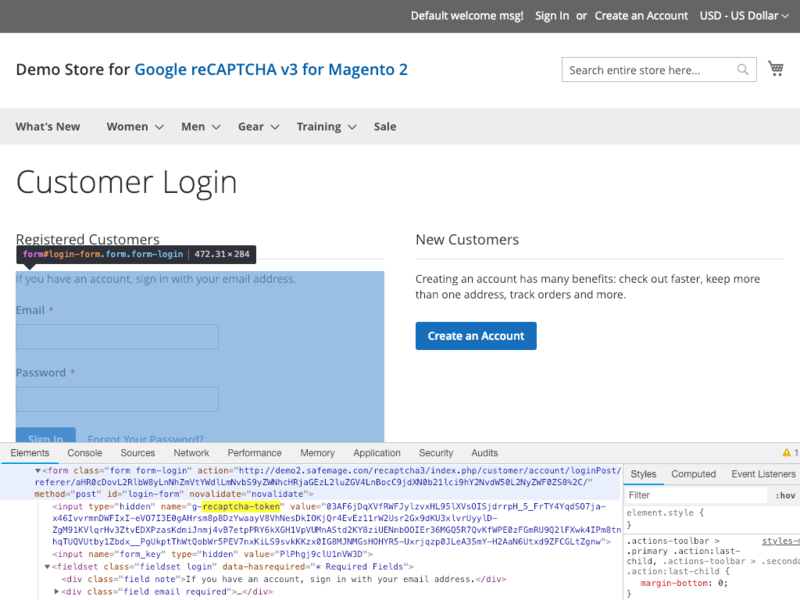 If the score value is lower than the threshold score set on the Magento admin panel, the given form can't be submitted and the error message is shown. The module's captcha supports a multi-form setup on a single page. Just make use of the 'Submit Forms' setting to properly configure the forms on the admin panel. You don't have to edit the template files. 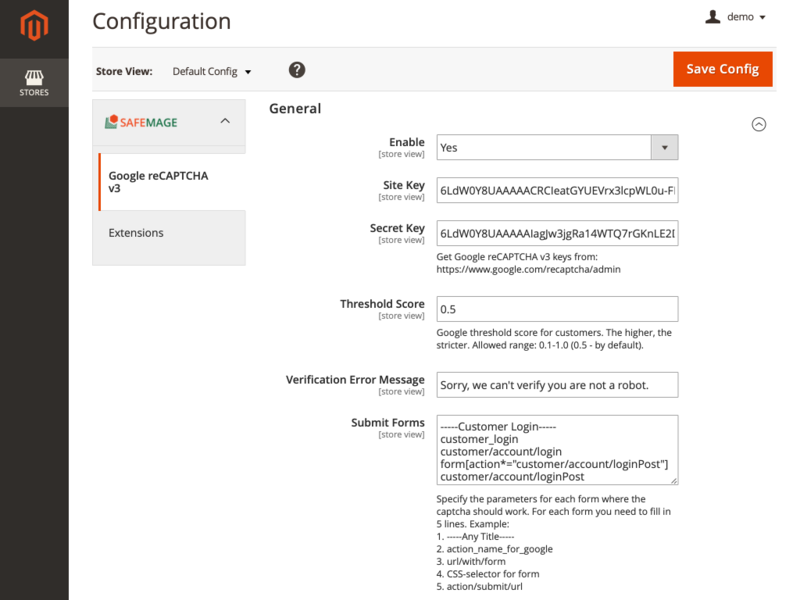 Out of the box, the setting lists Magento native forms like 'Customer Login,' 'Customer Create,' 'Customer Forgot Password,' 'Contacts,' and 'Newsletter.' Follow the example provided to add other forms of your choice. Having troubles while trying to properly configure the new reCAPTCHA, simply order 'Pro Installation' and we'll do the full setup for you.